This STUDENT’S CORNER is dedicated to everything that interests students and everything they need. 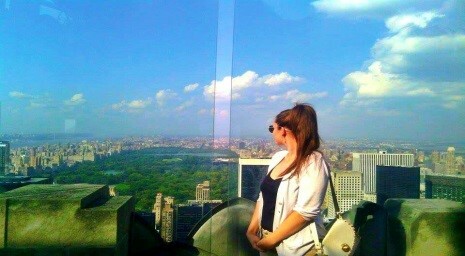 Work&travel program, in order to gain practical experience or education in other countries in the world, etc. Be a part of our creative and successful team through the possibility of internship in FULM Savings House! Find out what it feels like to be employed in a modern financial institution! Perhaps you will be our future colleague! Familiarize yourselves with the financial and banking operations through the internship program in the Head Office or in one of the branches of FULM Savings House across Macedonia: Skopje, Bitola, Kavadarci, Strumica and Tetovo. To be able to perform the internship full time during work days. Interested candidates can apply at: info@fulm.com.mk and send their CV with a designation “For internship at FULM Savings House”. The internship can last from one to three months. Advantage will be given to candidates who will sign a contract for internship with duration of three months. The three-month long internship is paid internship. All candidates that fulfill the requirements and enter the shortlist will be contacted for an interview. FULM Savings House is always willing to provide student internship for students from Universities and Faculties with whom there is business cooperation and signed contracts for providing internship for students (or will establish in the future). Travel and Work&Travel agencies – (Ameriquest, Narom, Kouzon, Aurora Student Service, Kontext, Asteria, Rapsody Travel, Delta Mts, etc. FULM Savings House in collaboration with the Faculty of Business Economics – Skopje, with a joint offer for easier studies! Application forms can be obtained from: the Integrated Business Faculty, FULM Savings House website or desk offices. The loan covers all expenses for studying and issuance. The loan should be withdrawn no later than September 15th due to timely remittance and year enrollment. 50,000 denar loan with a monthly instalment of 4,700 denars for part-time students. Discounts will be provided for the following year if the loan is repaid on regular basis. Bonus information: A savings account with 600 denars as an initial deposit will be opened for each student. 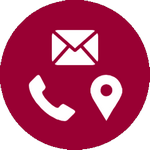 Additional information: Call or visit the nearest branch or desk office. * Fees are calculated according to the last valid Decision on the terms under which loans are approved and the pricelist of FULM Savings House. If they are subject to alteration or correction, the abovementioned amounts will change as well. FULM aims to inspire and motivate students towards their professional and personal development. In the past years we have organized and attended many student events, open days, presentations, trainings and workshops at the faculties and universities in the Republic of Macedonia. If you want to be part of the free training, we encourage you to apply to the following e-mail address: info@fulm.com.mk , with the following designation: Interest in free training for students, where you will state your name and surname, your membership number with FULM and your telephone number. FULM Savings House has been part of students’ lives, wishes and dreams, since 2014 when the first student loan was approved … And this is just one more … A STUDENT SCHOLARSHIP! 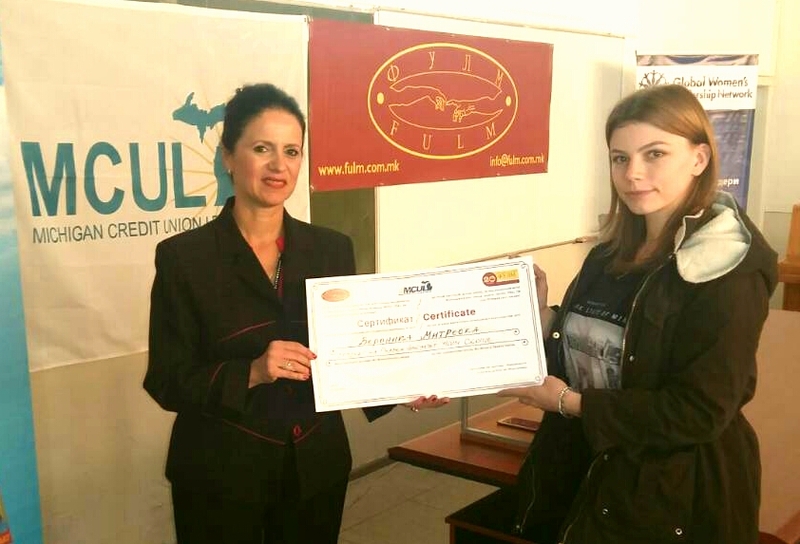 FULM Macedonia, in cooperation with the Michigan Credit Union League (MCUL, USA), in 2014, established the Fund for Student Scholarship in order to support the education of young people in the Republic of Macedonia. 19 октомври, 2017 October 19th, 2017 at the Faculty of Pedagogy in Bitola, "St. Kliment Ohridski " University Celebration of the World Credit Union (ICU) Day and announcement of the winner and recipient of the student scholarship for 2017, Veronika Mitreska, a student at the Faculty of Law "Iustinianus Primus", Skopje. Veronica, whose narrative achieved the highest number of points, won at the competition for the student scholarship entitled: My Work & Travel Dream. 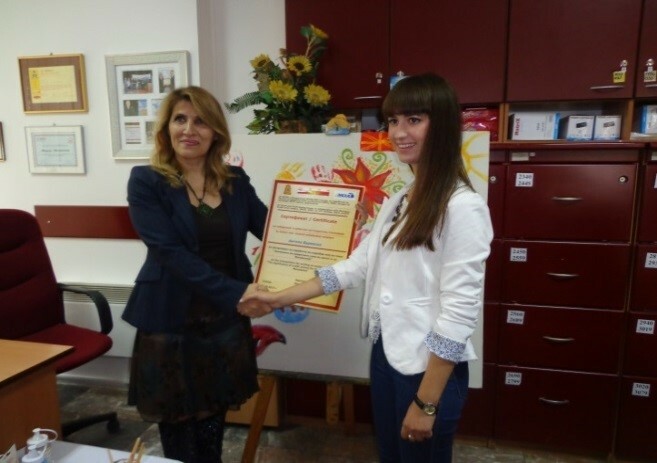 Gratitude to the Work & Travel agencies - FULM collaborators and the wonderful hosts, certificates and gifts for the new FULM scholarship holder and for the most inspiring winning Work & Travel Dream by Angela Atanasova, student at the Faculty of Philosophy at UGD Shtip, at the organized Facebook competition. .
October 20, 2016 – – Winner of the Student Scholarship was Andrijana Dimitrijevikj, a student at the Faculty of Economics – Skopje, who achieved highest score in the competition on credit unions organized by FULM, in competition with more than 100 candidates. The central event for the celebration of the International Credit Union Day and awarding the scholarship was held at UKiM – Faculty of Economics – Skopje. The winner of the scholarship and Bojan Lozanoski, who won second place, also received a savings passbook from FULM Savings House with a member deposit as an incentive for saving and investing in their own future. 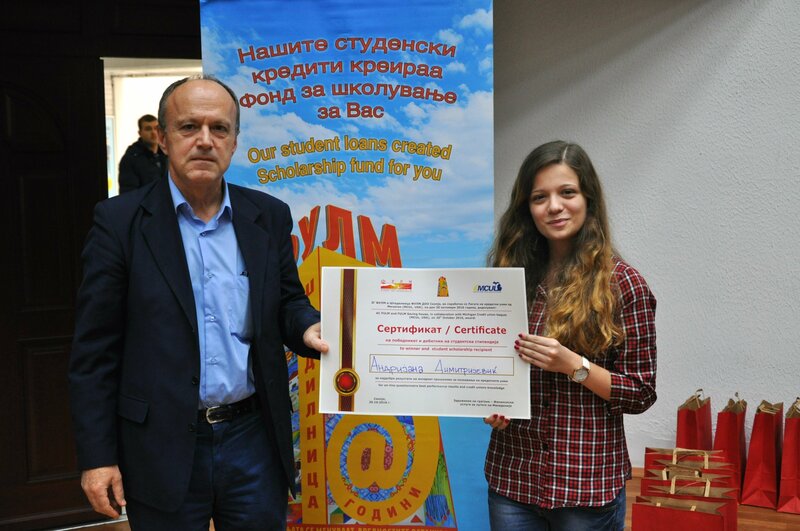 October, 15th2015 - We got the first FULM scholarship holder. We organized a Competition for writing an essay entitled: The significance of credit unions for the world and for Macedonia. 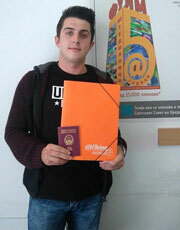 Students from all universities in the Republic of Macedonia had the right to participate in the competition. A special commission reviewed the submitted essays and the winner announced – Angela Burovska, a student at the Faculty of Economics, Ss.Cyril and Methodius University in Skopje. 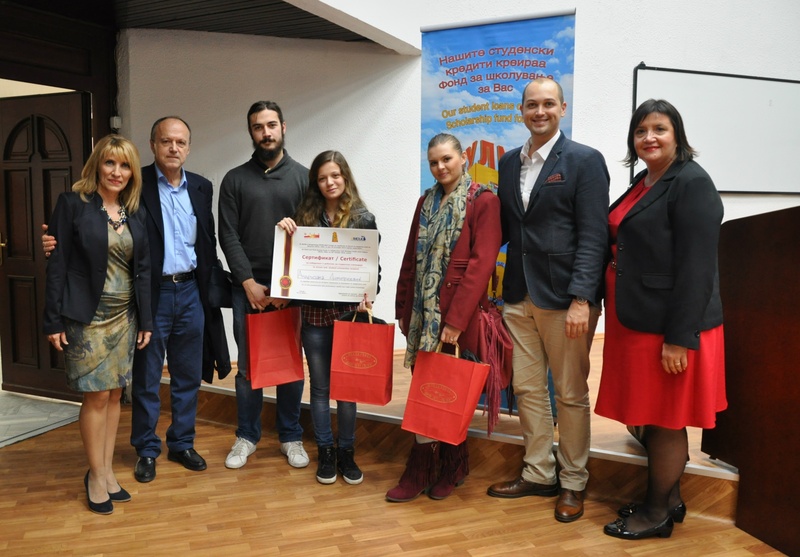 The award ceremony for announcing and presenting the Award Certificate for the Essay competition was held on October 15th 2015, on the International Credit Union Day at FULM Savings House - Branch JSP, Aerodrom.